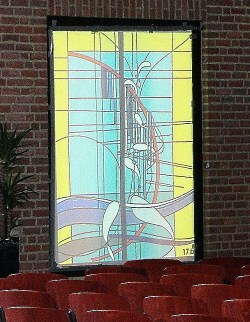 "Living Water" is a liturgical design I made for a Protestant church in Leusden, Holland. The theme follows a prophecy from Ezekiel 47, where it is written that a stream of living water will flow from the new temple at Jerusalem, starting as a small stream but ending up as a wide river. Wherever the water of that river runs everything flourishes. Nature rejuvinates! Water flowing from the temple along the gate and stairs is portrayed as a waterfall. Should the water reach the Dead Sea (a symbol of futility), fishes will swim there again, thriving much like salmon swimming against currents and ascending waterfalls. This is possible only because "living water" flows from above. Without water, fish would flounder on dry land. The blood-red path that runs through the cross shows the passion and the death of Jesus Christ. 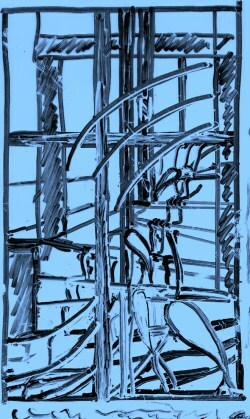 First I made a sketch of the idea. I then created a Glass Eye 2000 design based on the sketch. This gave me a good start on visualizing the final result. 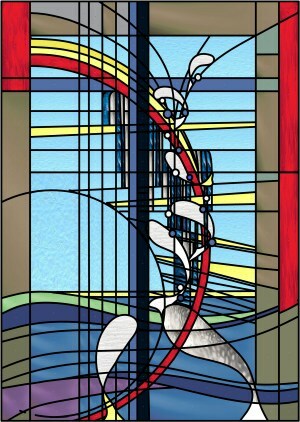 I covered the church window intended for my panel with white translucent paper and then projected my design onto it. In this way the church committee could evaluate the design. Once the design was approved, I printed it full size. Here and there I changed some details, such as the location of the glass beads. 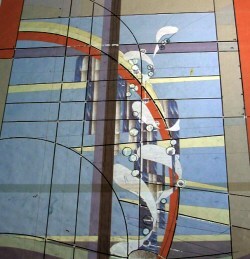 This was followed by ten days of glass cutting and the creation of the lead profiles. After welding the lead lines, I fixed with putty and the cleaned the panel. With the panel placed, the colors sparkle with incoming sunlight! 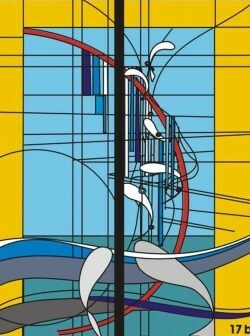 A detail of the panel. 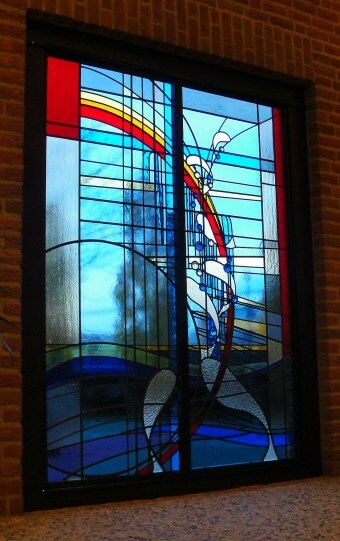 Goos Vreugdenhil owns the Dutch stained glass studio De Glazen Zee in Steenwijk, Overijssel. 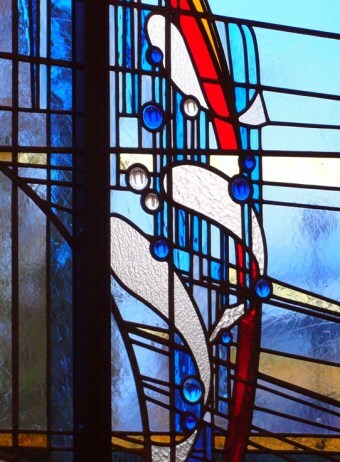 He has created traditional stained glass for more than ten years. 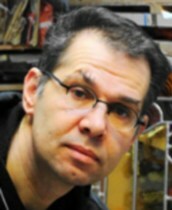 His clients are individuals, businesses and churches. You may contact him by email.